As always, we co-op with all agents! This is a wholesale assignment deal. Proof of funds required to enter into Agreement & take house off market. EMD must be delivered within 24 hours. Property is sold AS-IS condition including contents. Buyer pays all transfers & recordation taxes. 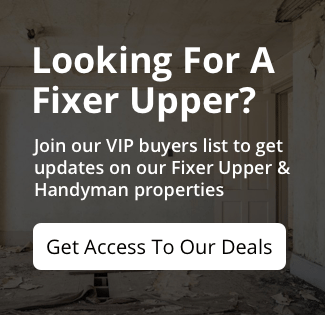 Fill out the form below to join our "VIP Property Buyers" list and for local real estate updates too! ... to our investor specials. *These are not on the MLS - Many are below $100k. Available properties on the next page.